Thanks for the detailed summary. My friend has been running a 4e game and now wants to run the 5e playtest, so I’ve been wondering what to expect. Regarding your note about hitpoint expectations, I find that it usually takes a session or two for players to get used to a more deadly ruleset. That was my experience in the cyberpunk game I’m running(for 3.5e/4e players)–it took every single player losing a PC over several sessions before the players made the tactical adjustment. 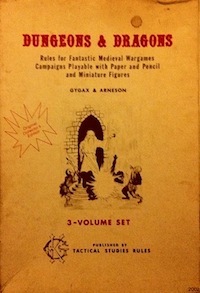 It’s not surprising that the PCs are easier time that if they were in AD&D/BX. Considering their hit points and their +3 BAB, they really are 3rd level characters. Nice to hear about an actual, at the table, reaction. Thank you for giving such a detailed rundown. I’m hoping to see HP notched down in the next update.